Making sense of the Murdoch mess: How will it all end? July 7th 2011: the day the plug was pulled on the News of the World (NotW). Irrespective of your views on the newspaper and the style of journalism on which it thrived, it was a pretty dismal end for the 168-year old publication. It was a national institution, but for it to end so spectacularly was indicative of the crimes with which it was charged. It had long been established that many stories covered by NotW were sourced from phone-hacking – but it was just celebrities, so that was fine, right? That’s a matter of opinion. But when it emerged that the mobile phone of murdered teenager Milly Dowler had likely been accessed by an investigator acting on behalf of the newspaper, there was really no way back. Some argued that ending The News of the World was like a lamb to the slaughter for the Murdoch empire, an attempt to salvage its bid to take over lucrative British TV, phone and ISP company BSkyB. But a week after NotW was dead, so was the BSkyB deal. Others argued that it was to save the Murdochs’ beloved Rebekah Brooks, the former NotW Editor, News International Chief Executive and a close friends of News Corporation’s main men. When Rupert and James Murdoch faced MPs’ questions on July 19th, they both jumped to Brooks’ defence, with Rupert saying: “I believed her, I trusted her and I still trust in her”. When asked whether the News of the World was closed to save Brooks, Rupert answered: “The two decisions are totally unrelated. The paper was closed because it had violated the trust of our readers”. The newspaper may have been pulled as quickly as it was to try to push the BSkyB deal through, but advertisers were deserting in their droves and condemnations were coming from all angles – readers, non-readers, politicians, other newspapers…everywhere. The Murdochs knew there was no way back for The News of the World, which is why killing it was an easy decision for them to reach. If it could buy them brownie points elsewhere, that was a bonus. And now, with news emerging that the mother of murdered 8-year old Sarah Payne may also have fallen victim to phone-hacking by a private investigator acting on behalf of the NotW, the end of this sorry saga is nowhere in sight. There have already been some fall-guys in the phone-hacking scandal, but with fingers continuing to be pointed, it’s worth taking a look at where we are, how we got here and who the main people involved have been. Here’s an attempt to make some sense of the Murdoch mess. Some of these names you’ll know very well, some not so. But everyone here has been involved in some way with the phone hacking scandal. Here, we set out to see who’s who and what role they may, or may not, have played in events. And it’s these people who hold the key to whether we ever really find out who was responsible for what. Founder and CEO of News Corporation (founded 1979), the world’s second largest media conglomerate in terms of revenue (after Disney) and the parent company of News International, which owned the News of the World until its demise in early July. Rupert’s role in the scandal is yet to be determined, with many arguing that as CEO he must have been aware that phone-hacking was going on. And if he didn’t know, why didn’t he know? 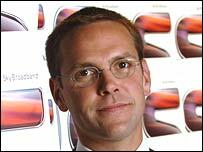 He’s also the father of James Murdoch (below). Son of News Corporation’s founder, James Murdoch is CEO and Chairman, Europe and Asia, at News Corporation. He has held this position since December 2007. However he first joined News Corporation in 1996 as Chairman of Festival Records. He subsequently held a number of positions, including Chairman and Chief Executive of News Corporation’s ailing Asian satellite service Star Television, for which he moved to Hong Kong in May 2000. 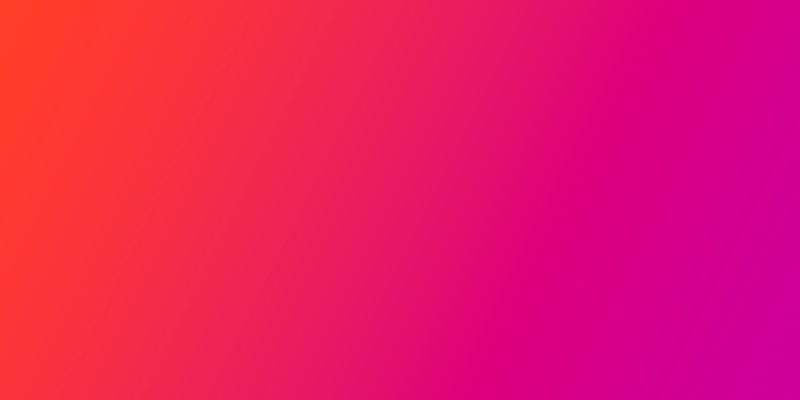 James became a director at BSkyB in early 2003, a company in which News Corporation owns a controlling minority stake, before becoming CEO later that year. 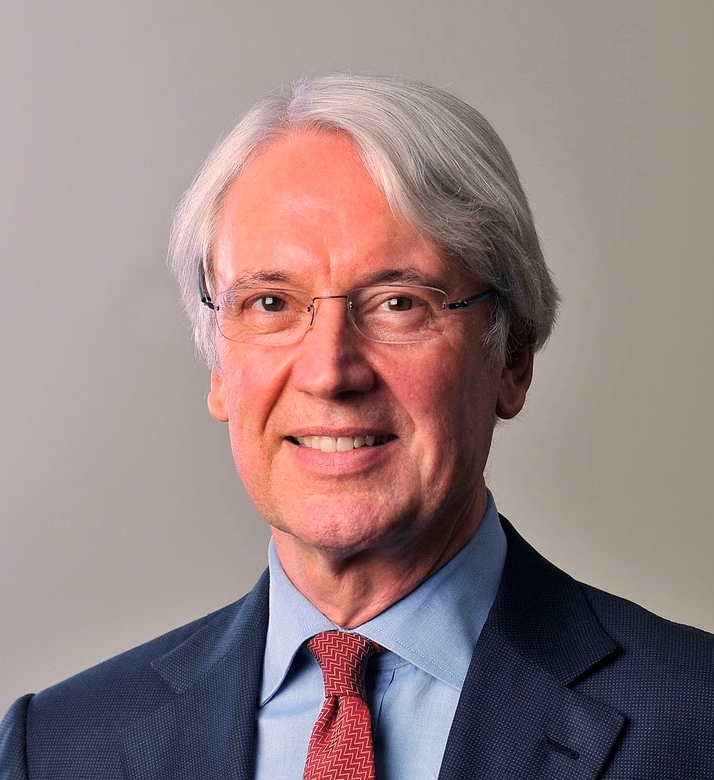 He stepped down as CEO at BSkyB in December 2007, becoming non-executive chairman instead, and moving to his current position at the corporation. In February 2009, James Murdoch was also appointed as non-executive director at GlaxoSmithKline, a pharmaceutical company. As with his father Rupert, James’ role in the phone-hacking scandal isn’t clear, though naturally as such a senior figure in the corporation, people have suggested that he must’ve known what was going on at the News of the World. Though given his lack of frequent, direct contact with that particular publication, he has thus far managed to keep at arm’s length from direct association in the scandal. Brooks is one of the key people in the whole phone-hacking fiasco. In her role as Editor at the News of the World from 2000 until 2003, she was, in theory, directly responsible for everything that happened at the newspaper. 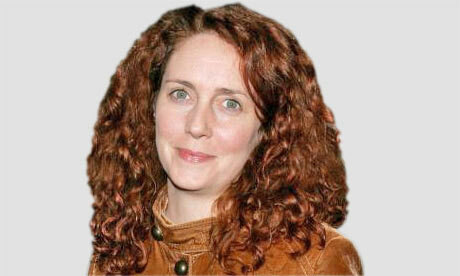 Brooks moved to an Editor’s position at the Sun newspaper in 2003, where she remained until 2009 when she moved to the Chief Executive’s role at News International. Whilst Brooks continues to deny any knowledge of phone-hacking, particularly in the Milly Dowler case, allegations that she knew what was going on persist. Brooks was arrested in July 2011. Coulson replaced Brooks (then Wade) as Editor at the News of the World in January 2003. He resigned in 2007 over phone hacking allegations which had led to the imprisonment of another reporter at the newspaper. Six months after his resignation, Coulson joined the UK Conservative Party as Director of Communications. And in May 2010, after David Cameron had become Prime Minister, Coulson was appointed Director of Communications for the government. Coulson resigned in January 2011 due to mounting pressure in the phone hacking affair, relating back to his time as Editor at the News of the World. He said “when the spokesperson needs a spokesperson, it’s time to move on”. As with Brooks before him, Coulson’s direct responsibilities at the News of the World has led many to believe that he knew more than he is letting on. Indeed, others who have admitted to knowing about the phone-hacking have claimed that Coulson definitely did know, such as Sean Hoare (below). 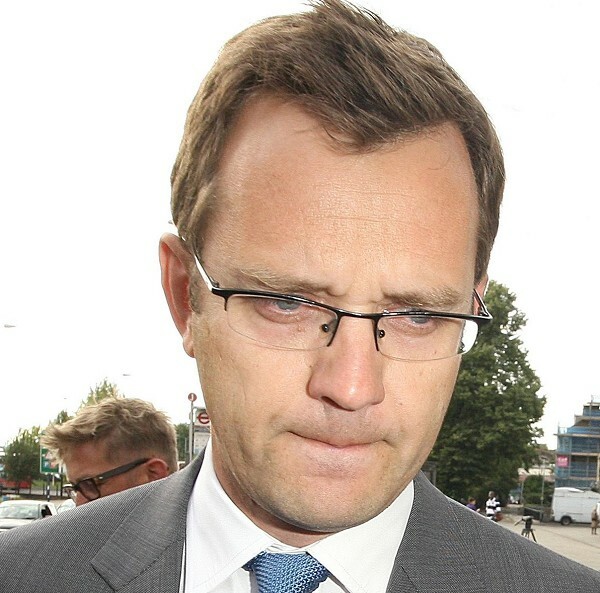 Coulson was arrested on July 8, 2011, over fresh allegations of payments being made to police officers in exchange for information in several cases. The private investigator at the centre of the phone hacking scandal. Mulcaire was jailed for six months in January 2007 for intercepting the phone calls of aides to the UK royal family on behalf of the News of the World. Mulcaire’s role in the scandal is straightforward as he has admitted his actions, though he claims not to have known his actions were illegal. He hasn’t spoken publicly about the more recent allegations relating to Milly Dowler’s phone-hacking. Sean Hoare was an entertainment journalist who moved to the News of the World in June 2001, working under Rebekah Brooks. He was sacked in 2005 by Andy Coulson because of his drink and drug problems. 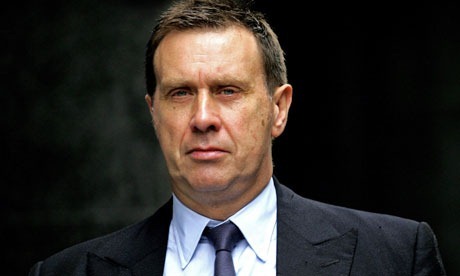 Hoare’s role in the phone-hacking scandal is notable for two reasons. Firstly, he has admitted to being complicit in phone hacking whilst at the News of the World. And secondly, he states that former Editor Andy Coulson absolutely knew that phones were being hacked and actively encouraged it. As noted in a New York Times article last September, he said he was revealing his own part in the scandal – which included breaking into the messages of celebrities – because he felt it was unfair for the paper to pin the blame solely on Clive Goodman (below). 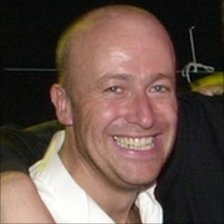 Sean Hoare was found dead on July 17th 2011, in what police described as ‘unexplained, but not suspicious’ circumstances. As a willing whistleblower in the case, Hoare’s testimony up until that point was the first direct evidence of widespread knowledge of phone-hacking at the newspaper, and he had vowed to help with any further enquiries. Clive Goodman is a former reporter and royal editor at the News of the World. 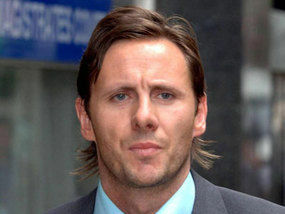 He was jailed, alongside private investigator Glenn Mulcaire, for four months in January 2007. He has admitted intercepting mobile phone messages involving members of the Royal household. He was arrested again on July 8th 2011, along with Andy Coulson, over alleged payments made to police officers for information whilst at the News of the World. Ian Edmondson was hired by the News of the World in November 2004. He was brought on board by Neil Wallis (below), who was Andy Coulson’s deputy editor, and was promoted by Coulson to assistant editor of the news department in October 2005. 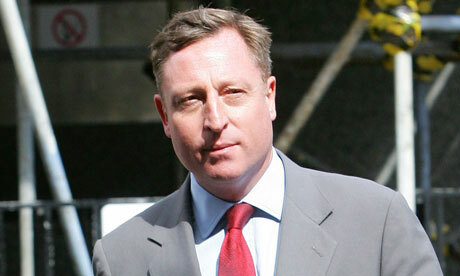 Edmondson was fired by the News of the World in January 2011 over allegations of his involvement in phone hacking. He was arrested in April this year, alongside former reporter Neville Thurlbeck (below), for intercepting voicemail messages. Thurlbeck is chief reporter at the News of the World, and was arrested alongside Ian Edmondson in April this year. He hasn’t been sacked yet, and it seems he’s been suspended on full pay until the case is heard in September this year. An e-mail, titled ‘For Neville’, is key evidence in the phone hacking scandal. It was sent to Thurlbeck by another reporter, and contained 35 voicemail message transcripts, despite Thurlbeck having previous denied any knowledge of phone-hacking. Lawyers representing Gordon Taylor, the Chief Executive of the Professional Footballers Association (PFA), who sued News International after he was hacked in 2007, released this email to News International at the time. The company didn’t dismiss Thurlbeck. 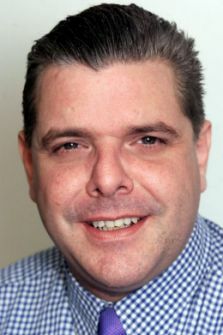 Wallis joined News International in 1986, eventually becoming Deputy Editor of The Sun in 1993. He left that role in 1998, taking up editorship at a rival newspaper, before becoming Deputy Editor at the News of the World in 2003, then Executive Editor in 2007. He left the newspaper in late 2009. 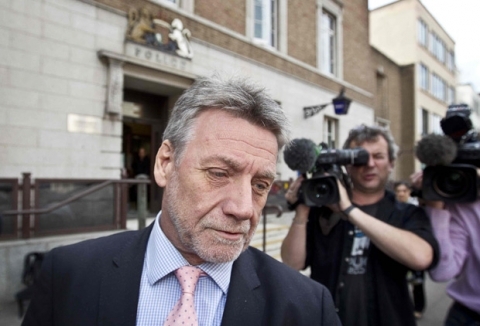 Neil Wallis was the ninth person to be arrested over phone-hacking allegations, and was taken in for questioning in mid-July 2011. He is also accused of paying police officers for information. He was a key senior figure at the newspaper during the period when much of the alleged phone-hacking took place, so his role in activities will come under greater scrutiny in the months ahead. Les Hinton is a British-American journalist and businessman who worked for Rupert Murdoch for the best part of half a century. He held the position of CEO at Dow Jones and Company (publisher of the Wall Street Journal) from 2007, after it was acquired by News Corporation. Hinton was head of News International from 1997 to 2005, a key period in the phone-hacking scandal. On July 15, Les Hinton resigned from his position at Dow Jones and Company, but maintained that he knew nothing of phone-hacking. This was a key moment too, as it shows that the scandal at the News of the World is starting to have a wider-reaching impact, and attention is now being falling across News Corporation. In mid-July, it was revealed that FBI was probing claims that the News of the World attempted to hack the victims and families involved in the 9/11 terrorist attacks. There are, of course, other key figures embroiled in the case. There are Sir Paul Stephenson, John Yates and Andy Hayman from the Metropolitan police, whose close associations with News International journalists and executives have led many to suspect that the relationships were a little too close to maintain a professional level of conduct. Hayman, for example, confirmed that he had received hospitality from people he was investigating in relation to criminal offenses. And there are politicians too, such as Prime Minister David Cameron who is facing increasing criticism for employing Andy Coulson, despite suspicions of his involvement in phone-hacking. A lot of people are facing the heat in what could just be the beginning of a massive expose of corruption at News International, News Corporation and the media on the whole. One rogue company? Not likely. Like many people, I suspect we’ve only just scratched the surface in the phone-hacking scandal. What was initially portrayed as one rogue reporter working in cahoots with an ethically challenged private investigator, now seems highly unlikely. Whilst it seems that phone-hacking may have been routine at the News of the World, it’s perfectly plausible that it was an accepted practice across the board at many publications. In fact, that’s very likely. So if the News of the World was willing to hack telephones, it’s likely many others have carried out similar actions too. Last week, James Hipwell, a former financial journalist at the UK’s Daily Mirror newspaper, said that phone-hacking was widespread at the publication. He also alleged that other titles at Trinity Mirror, such as the People, were guilty of phone-hacking. He has offered to give evidence in the public inquiry ordered by David Cameron. Furthermore, Operation Motorman was an investigation by the Information Commissioner’s Office (ICO) in 2003, into allegations of offenses by the UK press. Police investigating the current phone-hacking scandal have already requested files from this earlier investigation, and these files detail as many as 4,000 requests for confidential information from a private investigator, made by 300 journalists working for 31 publications. Much of the information was obtained illegally. The ICO released a report in 2006 called What privacy now? The first six months progress in halting the unlawful trade in confidential personal information. It found that the Daily Mail was the biggest offender, identifying 952 transactions with private investigators by 58 journalists at the newspaper. The Sunday People came second. It’s important to stress that these don’t amount to phone-hacking, which is a clear-cut criminal offense. Contraventions of the Data Protection Act, which is what these other offenses would fall under, can sometimes be justified if there is a strong public interest. But the ICO investigation found that many didn’t have significant public interest. If this highlights anything, it’s that the News of the World wasn’t the only publication to hold questionable journalistic ethics. At this moment, there are likely a number of nervous hacks sweating, fingers crossed, hoping their own previous endeavors don’t catch up with them. Though I believe it’s only a matter of time before others are implicated, both in the UK and further afield. The reason why Murdoch will go is quite simple. When he faced MPs questions, what he apparently didn’t know about his own company was quite telling. He didn’t seem like a captain in control of his ship, and he had no idea about key events in the recent history of the company. If he genuinely is that frail and dithering, then shareholders will demand that he be removed because he’s not fit to front such a large corporation. If it was all a ruse to get support back on-side, well, he most certainly should be removed too because he can’t be trusted. But he has built the company over a long time, it’s his ‘little’ baby, so I don’t think he will go quietly. However, as News Corporation’s name continues to be dragged through the mire, with more and more people’s being brought into the action, the buck will eventually stop with Rupert and he will have no option but to stand down. 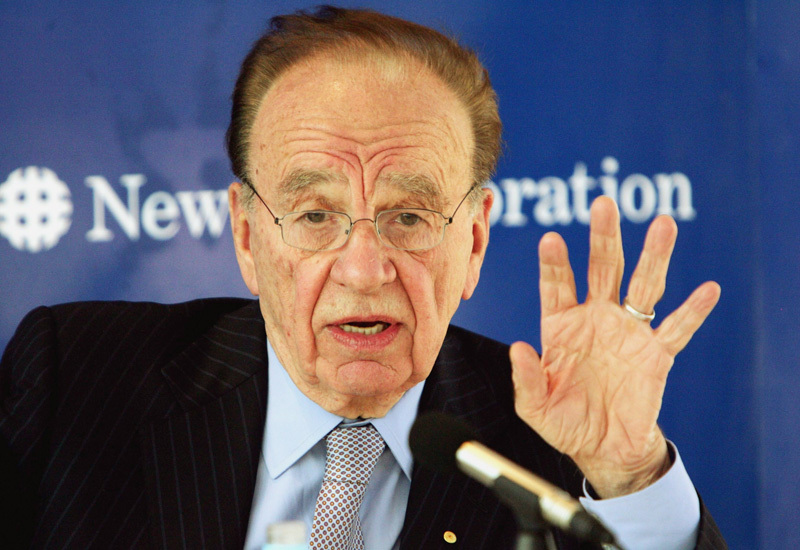 In an attempt to save News Corporation, either Rupert, or his successor, may choose to sell off the newspaper side of its business altogether. Most of its revenue comes from other sources anyway, such as 20th Century Fox, so it would make sense to sever all ties with its newspapers, thus distancing itself from any more damage from the phone-hacking scandal. If the scandal remains within the UK-side of its operations, then this sale could be limited to its three remaining UK newspapers – the Times, Sunday Times and the Sun. But two things are almost certain – Murdoch will go, and News Corporation will downsize – to what degree, remains to be seen.